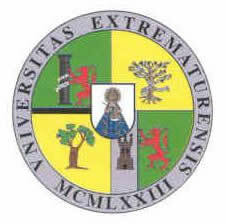 The Seventh Italian-Spanish Conference on General Topology and its Applications will take place in Badajoz (Spain) from 7 to 10 September, 2010, at Universidad de Extremadura. Previous meetings have been held in Gandía (Spain) - 1997, Trieste (Italy) - 1999, La Manga del Mar Menor (Spain) - 2000, Bressanone (Italy) - 2001, Almería (Spain) - 2004, Bressanone (Italy) - 2007. The meeting, which alternately takes place in Italy and in Spain, aims to promote the cooperation between Italian and Spanish topologists. The participation of researchers from other countries is warmly encouraged. Traditionally, the emphasis is on the relationship between general or set-theoretic topology, and other areas of mathematics or sciences. Thus, topics like, for example, topological methods in functional analysis or in dynamical systems, hyperspaces, applied topology for computer sciences or economy, algebraic methods in spaces of continuous functions, etc, are usually considered. The program will include main talks, invited talks and short individual contributions. Jorge Picado (Universidade de Coimbra, Portugal). Teresa Arias-Marco, Adrián Gordillo, Francisco Montalvo (chairman), M. Ángeles Mulero, Antonio A. Pulgarín, Batildo Requejo. Phone: (+34) 924 289300 -- Ext. 89133 (Adrián Gordillo) and 89136 (Teresa Arias). Badajoz is a historic city in the Southwest of Spain, close to the Portuguese border. Its population is about 150,000, and the river Guadiana divides it into two parts. Summer is often very hot and followed by a long mild autumn (See more information about Badajoz in http://www.turismobadajoz.es).